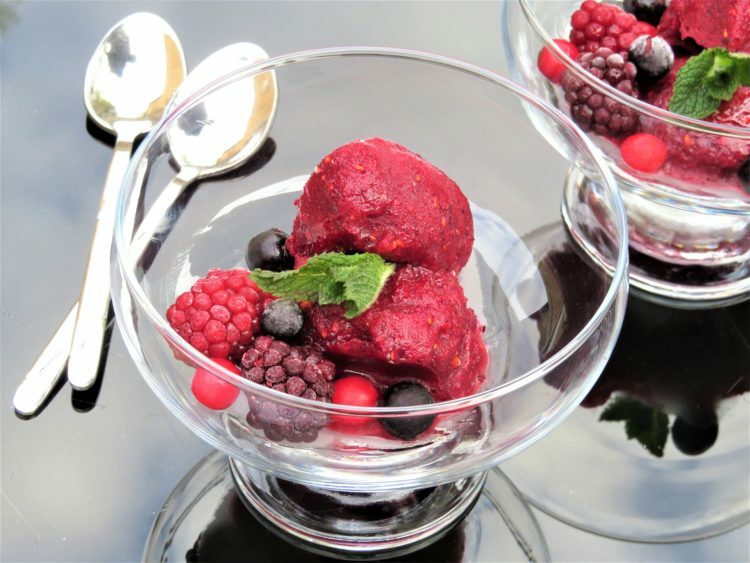 This refreshing summer fruit sorbet, is the perfect way to cool down on those hot sunny days or can be enjoyed as a dessert. 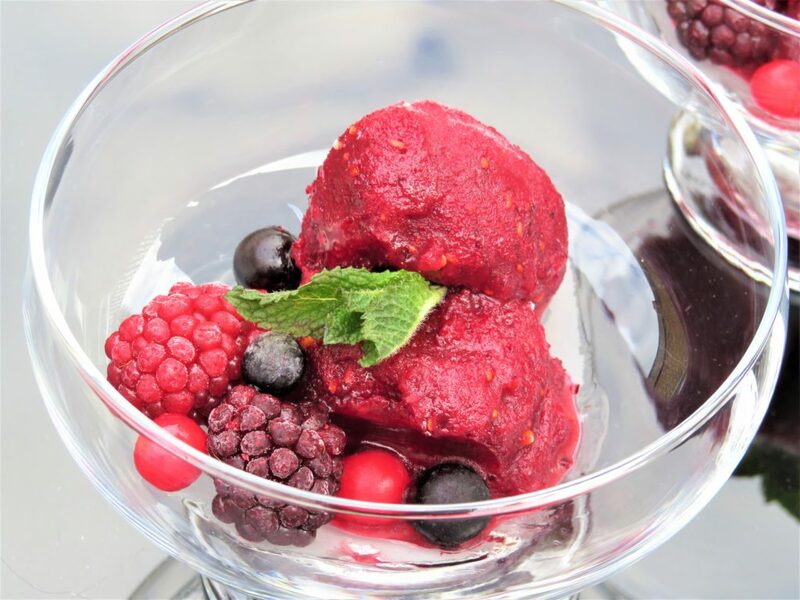 1 Place all the ingredients in the blender and blitz until smooth, pour into a container (that is suitable for freezing) and place in the freezer. 2 Leave to freeze until solid. 3 When it is ready remove from the freezer and leave to stand for 5-10 minutes. 4 Using an ice cream scoop put into bowls.